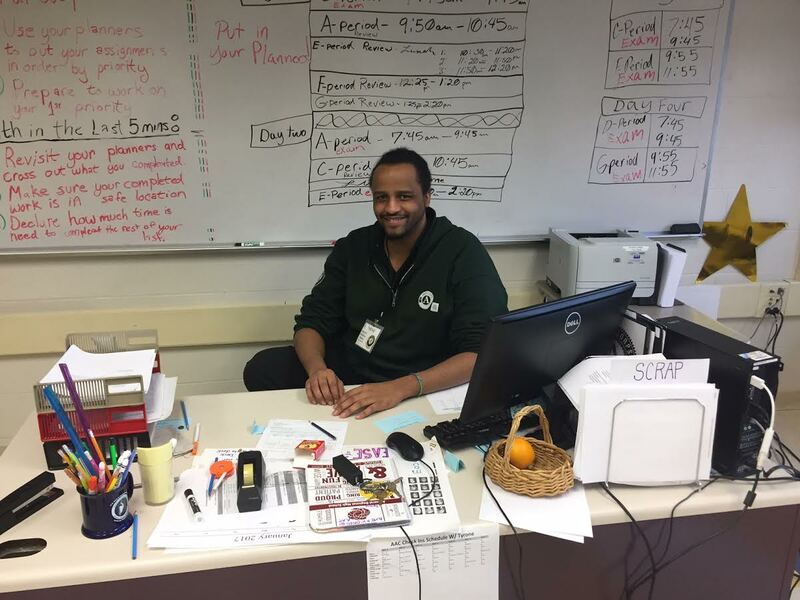 Working in the Academic Achievement Center at ARHS, new staff member Tyrone Bowie Jr. aims to help students with their academics and keep them on track. Mr. Bowie was born in Jenkins, Kentucky, but only lived there for about six months. He grew up in Holyoke and said he was “a victim of the Holyoke Public Schools.” Mr. Bowie’s childhood was full of abuse and he said it was difficult, being biracial, in the 1980s. “I was either too black to be white, or too white to be black,” he said. At age 12, Mr. Bowie worked as a peer leader in Holyoke. He helped with teen pregnancy prevention and child distress. He later attended Holyoke Community College and Springfield Technical Community College for a combined total of six years. His responsibility at ARHS is to help find tutors to improve students’ academics, to monitor their performance, and to increase their success in school. As an artist, Mr. Bowie has painted murals in Holyoke as well as six murals in Houston, Texas. He started an art program in Holyoke called Pioneer Urban Arts. Mr. Bowie plans to paint murals in AAC in the future. Mr. Bowie also gives inspiring advice. He believes that we can and should break stereotypes. “You don’t have to be what they say you are,” he said.